Bootstrap is one of the most essential & effective framework for designing responsive & trendy web & mobile ready layouts. For designers and developers around the world it’s one of the most used tools. It became very popular because of its large number of ready to use customizable templates, UI components, advance plugins, icon set and much more. This framework is well documented perfect for mobile first deigns & capable of creating attractive & edgy responsive web designs. Bootstrap also has a large support community. It makes prototyping more accurate, easily understandable & quicker. For any big scale professional project, a mid-level project or a small project bootstrap is equally effective & strong. Here we will discuss about Top Free Bootstrap 4 UI Kits for Web & Mobile Layouts in 2019. 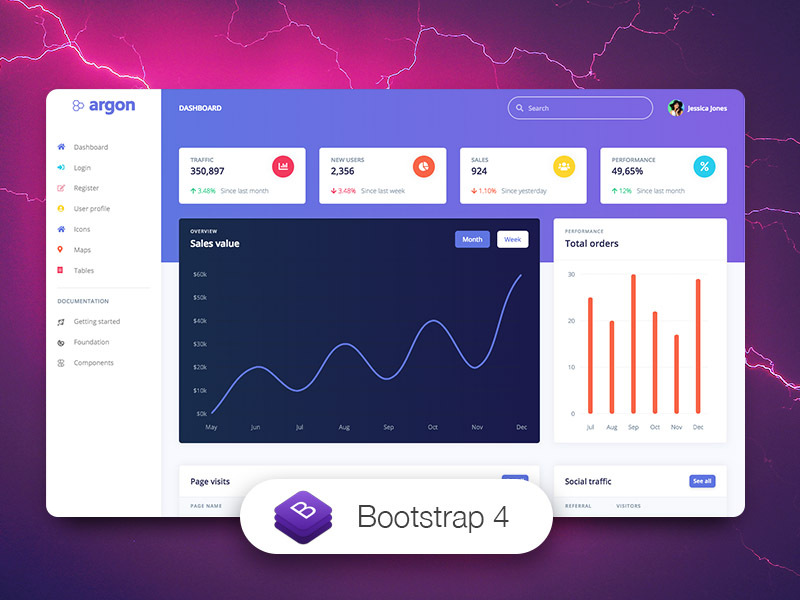 Argon is a free and very effective and popular bootstrap 4 UI kit for Dashboard designs. It gives your dashboard a smart & professional look & feel. This UI kit has hundreds of in-built components, you can chose from 6 different screen options for your dashboard and also it has 4 custom plugins to enhance the design. 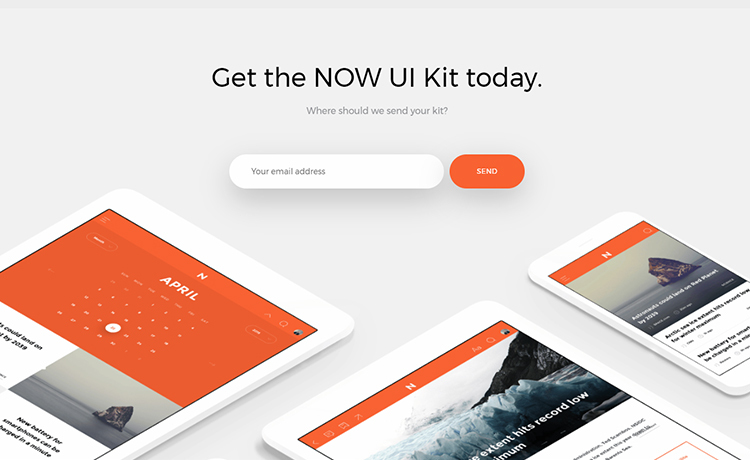 The UI kit also offers Pro Version where you will get more components, screens, plugin and sample pages with other functional features, documentation, SASS Files & Sketch Files. 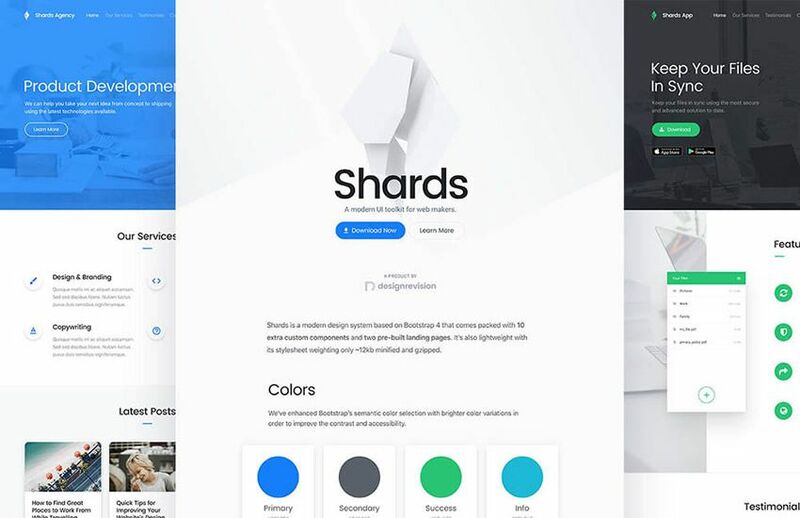 Shards is a popular & modern free Bootstrap 4 UI toolkit which is capable of delivering high end bootstrap designs and its free. It has in-built ten custom components and two sample landing pages. Moreover you can use 1500 plus icons for your layout from its icon pack. Its popular among the designers & developers because its well documented, fully responsive & lightweight kit. Above all it has a beautiful & handy interface for modern designing. Another useful UI kit in the list is Now UI Kit for Bootstrap 4. It’s a responsive & cross platform UI kit to enhance the look of your layout design. It has more than 50 in-built design elements, 3 custom plugins and pre-built templates. This Now UI Kit is a very popular online bootstrap tool kit which has PSD, Sketch version and provides HTML/CSS resources & codes. It also has a Pro Version which is very useful for professional projects. The pro version has 1000 components, 7 custom plugins and 11 sample pages with well documentation, SASS files & Photoshop files. It’s a very handy bootstrap 4 UI kit which has some useful in-built components for your bootstrap layout. It offers free PSD kit HTML & CSS resources with codes; therefore creating good mockups is easier here. This PSD kit helps you to customize your design faster here and according to the requirement you can design your layout and tweak the design between PSD & HTML/CSS. This kit is very lightweight also and gives you a faster performance in designing work. Drunken Parrot also offers a Premium Version where you will have lots of attractive designing features. This will definitely give your layout a premium look & feel. 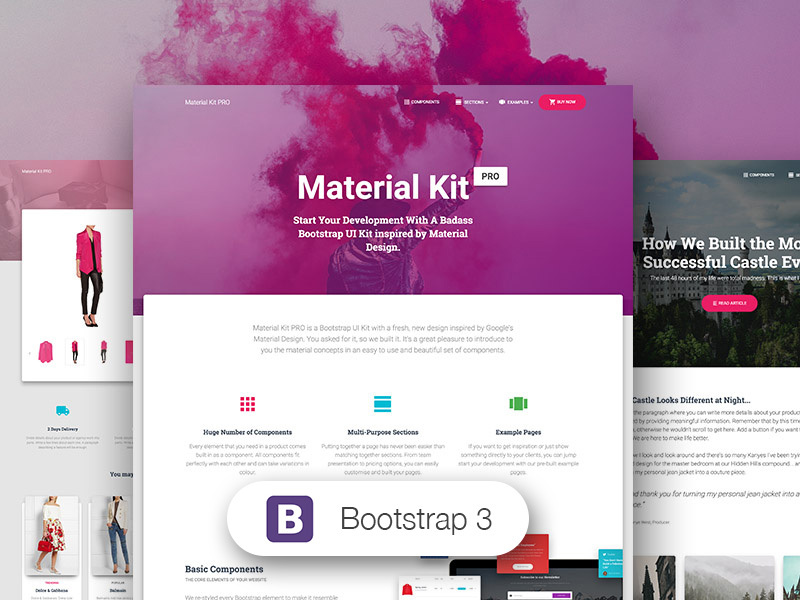 Material kit is a free & popular bootstrap 4 UI kit for Material Designing. It’s a responsive UI kit like other UI kits mentioned earlier. But for dedicated Mobile Ready & Mobile first Apps & Web Layouts it’s the best Bootstrap UI toolkit for professionals. It has in-built more than 400 material UI elements, more than 600 material icons, 74 custom CSS animations, various useful pre-built templates & pages well documented tutorials. This UI kit has 3 example pages with full source codes to help you build your own project. It follows latest & trendy material design standards with bootstrap elements restyling which gives your layout enhanced look. It also has a Pro Version with more advance options & features. Froala Design Blocks is another useful Bootstrap 4 UI Toolkit which consists of more than 170 Responsive Design Blocks. These bootstrap library based design blocks can be directly used in your Web Application or Mobile App layouts which make this UI kit very handy & time effective. There are several types of ready to use design blocks for your layout design such as; Forms, Headers, Footer, Contents, Features, Testimonials, Pricing, Contact, Profile, Call to Action and much more which are essential for your site or application. It’s a Free Bootstrap 4 UI Kit for Admin Panel Templates. It’s an effective option to prototype quickly the design of your Admin Panel Dashboard and other pages. It has 16 handcrafted UI components, 4 plugins, and 7 sample pages. The kit is very handy & easy to use, moreover it’s a lightweight plugin. Wrappixel is a free multi-purpose Bootstrap UI toolkit which is effective for various kind of layout designing projects. 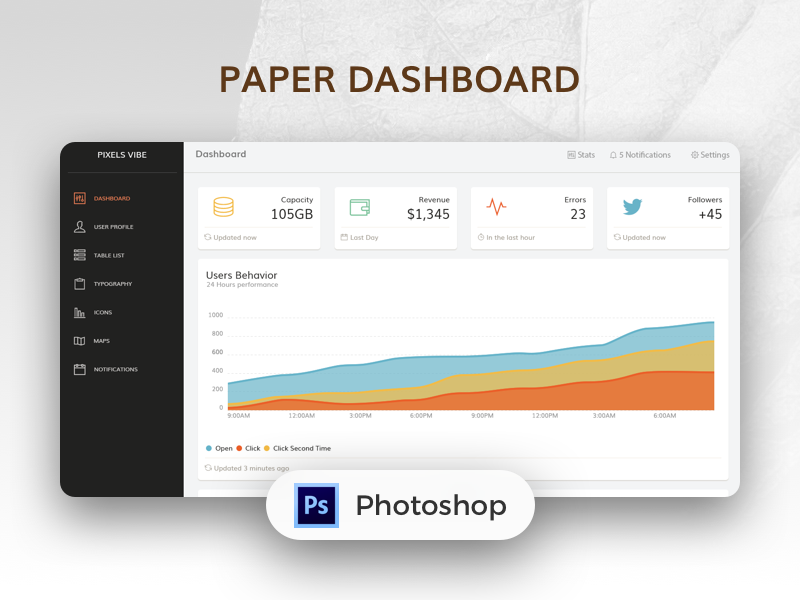 It has over 17 ready to use UI design blocks and over 25 handcrafted UI elements. Moreover it offers you a pre-loaded customizable landing page. This toolkit is very lightweight and its with premium version offers you many bootstrap, Angular & React admin templates with UI kit.